Kirk Bell April 10, 2018 Comment Now! My mom's moving saga never ends. It's the gift that keeps on giving for a son who wants to help and has occasional access to pickup trucks. Recently, a 2019 Ram 1500 was available to me and that meant I became delivery boy once again. This time she needed an oven moved, along with a few bikes, and assorted detritus. She had more, but the Ram's 5-foot, 7-inch bed had only so much room, I had time for one trip, and I have only so much patience for the interminable moving process. 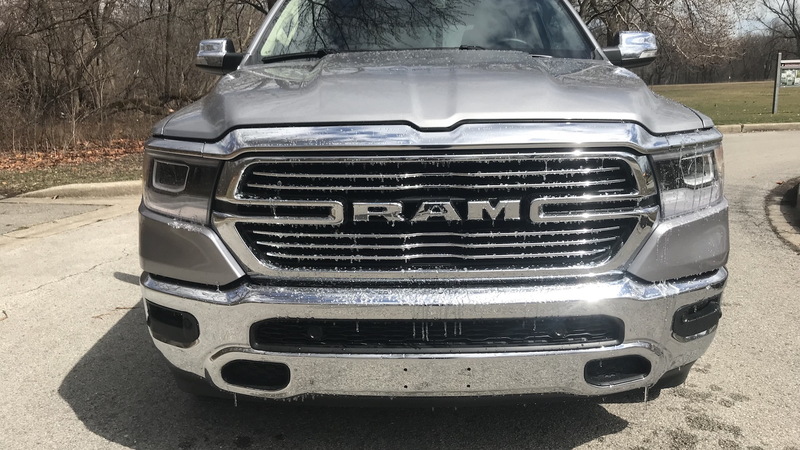 After spending a week in the 2019 Ram Laramie Crew Cab, moving my mom's junk, and putting almost 500 miles on it, I have some thoughts on what it's like to live and work with Ram's shiny new pickup. It rides better than ever. 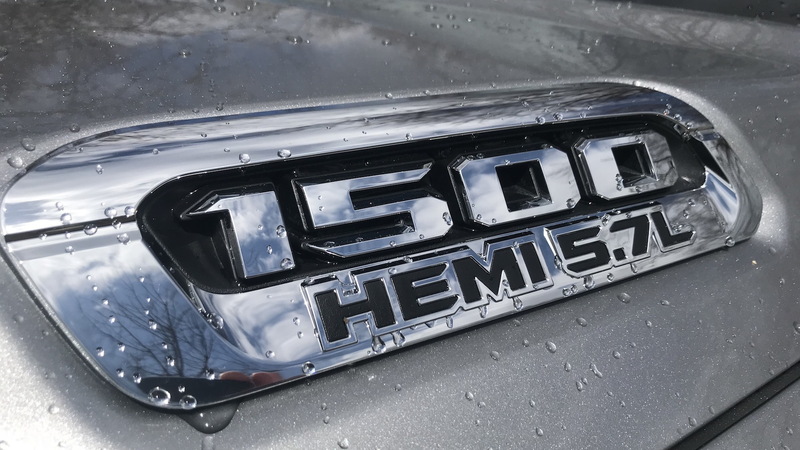 The last-generation Ram 1500 was already among the best-riding full-size pickups, but the new Ram is even better. 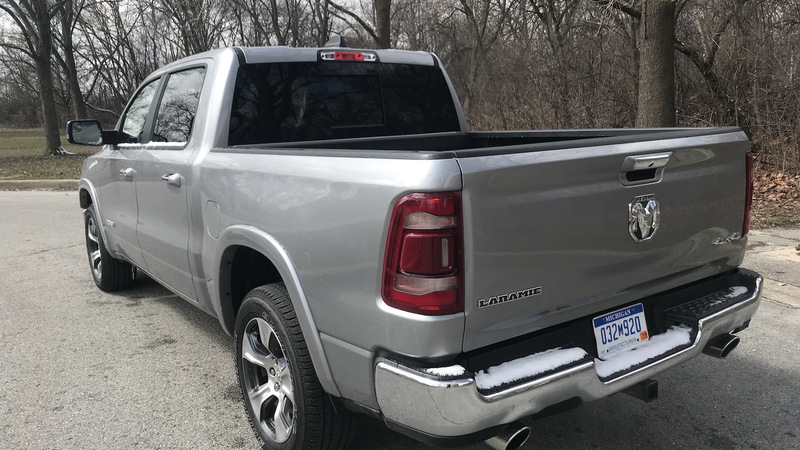 Outfitted with the base coil-spring suspension and riding on 20-inch tires (on what have to be the best-looking pickup wheels I've seen yet, even if they do cost $1,295), my loaner smoothed out Chicago's potholes and speed bumps like a luxury sedan. I said a few weeks ago that I couldn't understand how anyone could drive the F-250 Super Duty every day due to its clunky suspension. I feel just the opposite about the Ram. This is the cowboy Cadillac truck fans should buy for everyday driving. The interior is beautiful. My loaner came with a downbeat five-passenger black leather interior, but the contrasting piping flashed as an unexpected touch that added class. Soft-touch surfaces have slowly seeped into full-size pickups, led mostly by Ram, and the new Ram has them in spades. This cabin is on par with many luxury cars. That's appropriate, too, because it's easy to drop $50,000 or $60,000 on a Ram 1500, and this one sat right in that range, as we shall soon see. The interior is spacious. 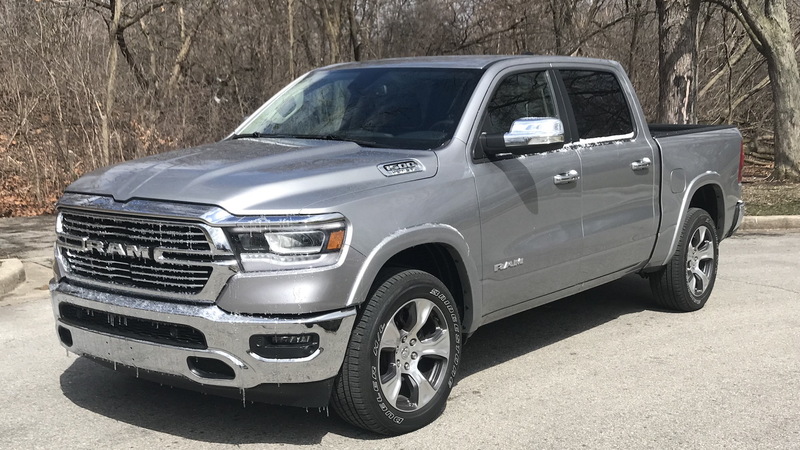 Ram added four inches to the wheelbase of the 2019 1500, with all of that length going to rear seat space. Rear leg room grows from 40.3 inches to a limousine-like 45.2 inches. My niece rode back there and remarked, without prodding, that the back seat has a lot of room. And the seats in this truck even recline. 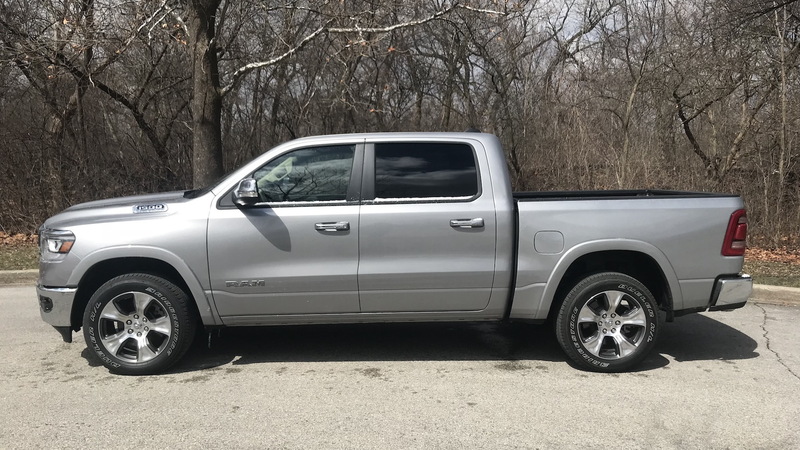 Given the width of a pickup, it's more realistic to put three in the back than in any car, which makes the Ram a viable choice for everyday comfortable transportation. The downside is the fact that this thing is freakin' long, making it a bear to parallel park or maneuver in tight alleys. It's not as concerned with getting the job done as its rivals. While Ford offers the bed step, Chevy has bumper steps, and GMC has the new MultiPro tailgate, Ram offers no unique tailgate features to help people climb into the bed. That's a problem because trucks have gotten taller. Mopar offers a pop-out bumper step as an accessory that isn't as handy as the equipment from Ford and Chevy, but this truck didn't have it. Thankfully, Ram does have a spray-in bedliner, LED bed lighting, a bed cargo divider, and rails with four cargo tie-down hooks as part of a $795 Bed Utility group. Those hooks proved handy for fixing bungee cords in place and the bedliner provided protection when I loaded in and out two ovens (though I also put a blanket down to protect the shiny new truck). Fuel economy is so-so. I put 448.7 miles on the Ram and got 15.5 mpg, according to the onboard computer. Most of those were highway miles, and the fuel economy inched up toward 16 mpg before I got back into the city. Due later in the year is a the 5.7-liter V-8 with the eTorque technology. It's the same engine in my loaner truck, but with the addition of variable valve timing and a belt starter generator to enable an advanced start/stop technology. It should improve the Ram's fuel economy by 1-2 mpg, depending on the type of driving you do in any given week. It's not cheap, but that's the norm. My loaner was a Canadian truck configured in a way not available in the U.S. Still, I'll do my best to approximate what it would cost in the good ol' U.S. of A. As a 4x4 Laramie Crew Cab with a 5-foot, 7-inch box, it would have a starting price of $46,890 (as opposed to $64,295 in Canada—sorry, Canada). Note that Ram offers three trim levels above the Laramie: Rebel, Laramie Longhorn, and Limited, and that Ram charges $3,500 for its four-wheel-drive system, which works full-time and comes with low-range gearing. My truck had $7,205 in options, including the aforementioned Bed Utility group, and a $1,600 Level 1 Equipment group, which adds automatic high beams, blind-spot monitors with rear cross-path detection, front and rear parking sensors, rain-sensing wipers, a remote tailgate release, a 60/40-split folding and reclining rear seat, and a CD player. Other notable options included a limited-slip rear differential ($435), an electronic trailer brake controller ($300), bright side steps ($695), and those $1,295 20-inch wheels. Here's the tricky part. The five-passenger interior ($695) of this truck isn't available in the U.S. with the $795 Uconnect system with the 8.4-inch display and navigation, which also comes with Apple CarPlay, HD radio, one year of satellite radio, and five years of SiriusXM Traffic and Travel Link. If I configure the truck that way anyway, the total price of this fantasy truck is $55,340. That's a lot of money, but it seems in line with the market for a truck this good. Unfortunately, that price also includes Ram's ridiculous $1,645 destination fee. Does it come packed in dry ice? Does the bed hold a lifetime supply of Rice-A-Roni? Or this just a money grab that every customer must pay? It's almost forgivable given how good the truck is.